I recently read Billy's article on Whats the Ideal Beer Lineup? The article analyzes commercial breweries beer lineups and tries to conclude the perfect formula for the number of Year Round, Seasonal and Specialty beers for a brewery. As with anything worth talking about, there were a wide range of opinions. An off-topic statement that got to me thinking in his post was that of Seasonal beers and their "seasons." Are Seasonal's really in, Season? I find that a lot of breweries seasonal beers are scheduled to be available for a quarter of the year. This makes sense as our seasons are 3 months each - no flaw in logic here. So whats the problem. Well, I find the problem with seasonals is they come out WAY to early, which leads to them being gone WAY to soon. I am going to use two Delaware breweries as my guinea pigs for this example (mainly cause I have family in DE and often support those breweries), but to my knowledge, everyone doing it. The Breweries are Fordham and Dogfish Head and the beer for this example is based on the season of fall and and the sweet tastes of Autumn. Dogfish produces its fall Seasonal called Punkin Ale, while Fordham produces the Spiced Harvest Ale (which to my knowledge doesn't actually contain pumpkin, just the spices). Dogfish's offering comes out right about the 1st of September every year, where Fordham's beer comes out in Mid August. Dogfish recommends pairing Punkin Ale with the following: Turkey, roasted duck, lamb, stuffing, dessert dumplings, sharp cheddar. Fordham suggests paring with Turkey, Ham, braised veggies, pumpkin pie, cheesecake and cinnamon streussel. Man, all those foods sound delicious, making me salivate for Thanksgiving....wait, its September! We just had labor day celebrations. Its still warm and humid in D.C. Thanksgiving isn't for another 3 months? The first time I start thinking about pumpkins is in October, when I decide what to carve in my pumpkin. After I binge on candy, my mind shifts to rich pumpkin pie, but this is all months away. To add insult to my pumpkin spice cravings, dogfish even states on their website that if you want to have some for Thanksgiving, you need to stockpile some up cause its is usually GONE come November. What a buzzkill. Maybe breweries do this by design, as the beers seem to be all consumed or sold out at the end of the season when you really want it. Like all of those summer thirst quenchers in late August and early September, when they were finished distributing in July ( Sierra Nevada Summerfest). Maybe their rationale is if you want it you will then make a mental note and buy more the next year? I obviously don't run a production brewery, so I don't know if seasonals are done this way because they all want to fall in line. Or if there is a business reason behind it, but to me the consumer I would like to see the dates pushed back a little bit to encapsulate the larger portion of the desired season. In the Shegogue Brewery we will be brewing our Pumpkin Ale this week. 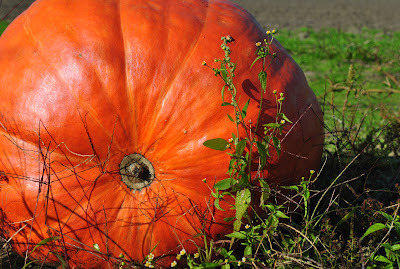 It will be ready for consumption at the end of October and should be good past Thanksgiving into December. Looks like Fordham ran out of Spiced Harvest Ale? According to their Facebook page it appears this may be the case. Wonder if they plan to brew more or just will make note of it for next year. Kinda crazy if it is already out! I find that a lot of breweries seasonal beers are scheduled to be available for a quarter of the year. This makes sense as our seasons are 3 months each - no flaw in logic here. 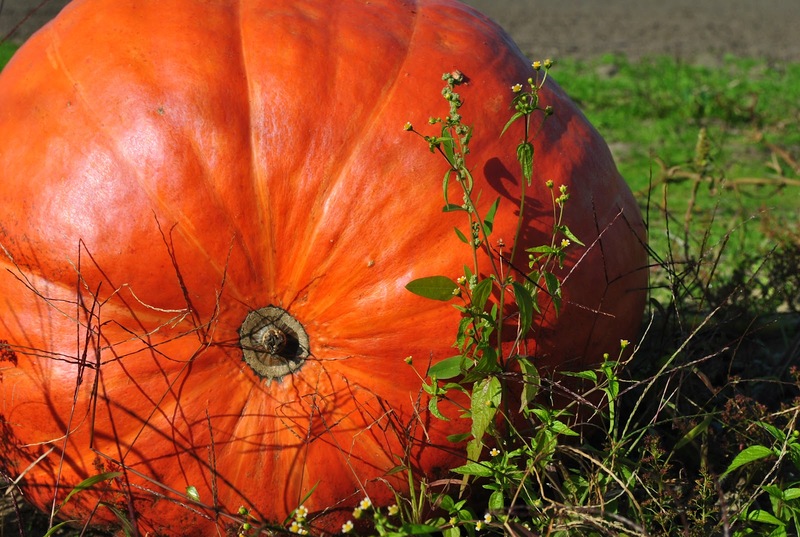 This is so huge one, I think it is possible to cook million pumpkin pies with this giant thing.